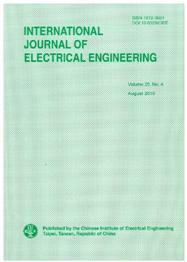 International Journal of Electrical Engineering (IJEE) has a long history. It was published first issue in 1994(ISSN: 1023-4462) with 4 issue per year. IJEE has been expanded into 6 issue per year since 2004 (ISSN: 1812-3031) by the Chinese Institute of Electrical Engineering (CIEE). It focuses on many aspects in the fields of electrical and computer engineering such as power systems, communications, control systems and information engineering, etc. IJEE is indexed in EI Compendex and INSPEC. Domestic subscription (annual) rate: NT$1,200 for CIEE members. NT$2,400 for non-members. NT$3,000 for institutional subscription. International subscription (annual) rate: US$ 200 (surface mail postage included).